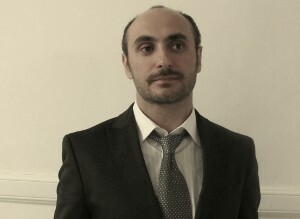 Francesco Ruggiero (1977) is the founder of the literary group sparajurij and is in the editorial board of the journal “Atti Impuri”. He is specialized in contemporary Italian literature. He is the author of literary reportages for the journal “Il Reportage” and co-author of the book Viaggiatori nel freddo. Come sopravvivere all’inverno russo con la letteratura (Travellers in the cold. How to survive to the Russian winter with literature), published in 2015. In Nexa Center, he is in charge of communication and press office. More specifically, his main responsibilities consist in keeping contact with media and following the Nexa Center's image.